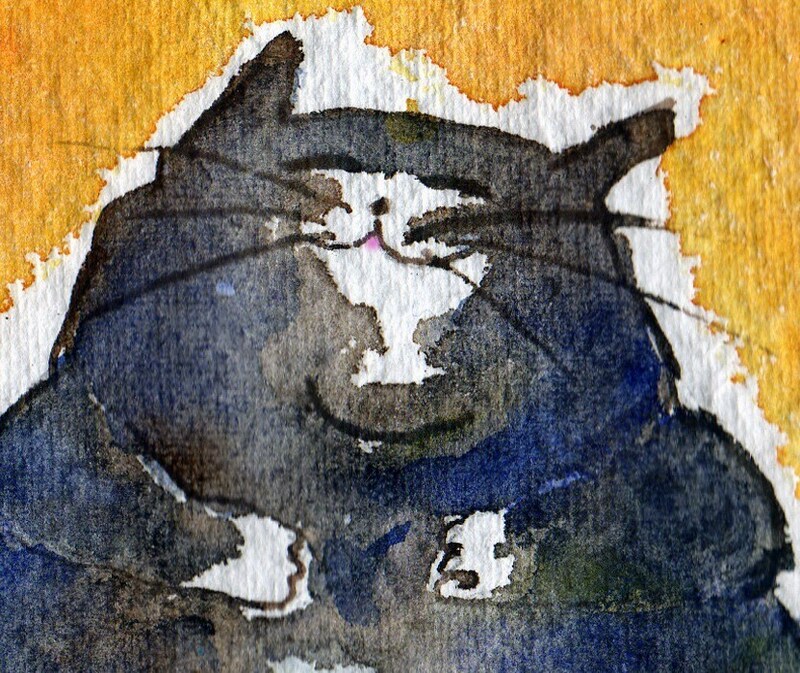 This big fat cat is so happy with himself that you'd think he had just won the tournament! A print of my watercolor mounted onto the actual banzuke (list of wrestlers according to rank) from a tournament I attended in Tokyo last year. This 5" x 7" print is made on an Epson 6000 printer using DuraBrite Ultra inks and printed on Epson Premium Presentation Paper Matte 4*. An off white 8" x 10" mat and backing board are included as well as a dust cover, my bio and business card.